I love this Memory Box chair stamp! 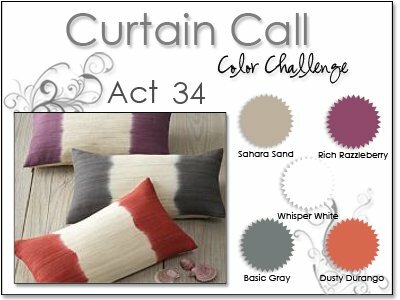 I’ve been using it on a lot of cards lately, and thought it would go great on my card entry for this week’s Curtain Call Challenge! 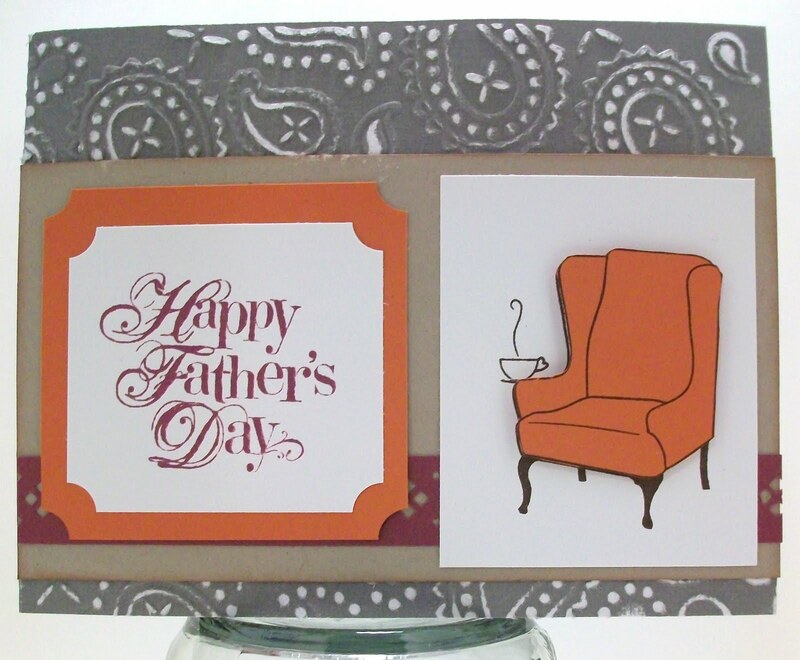 The grey card base (from Die Cuts with a View) was embossed in my Sizzix Big Shot. I sanded the embossed image to make it stand out more. I substituted kraft cardstock for the Sahara Sand, and used Dusty Durango for the chair and for the matting on the stamped sentiment. Whisper White was used for the image backgrounds. I used Rich Razzleberry ink for the sentiment and a strip of that cardstock for the punched border. The stamps are from Memory Box (chair) and Studio G (sentiment). The chair image was stamped in Chocolate Chip ink. great FD card, Suzanne…Dad and his chair, perfect! thanks for playing along at the Curtain Call!